Doctor Saqib Siddiqui attracts patients from across the country due to his expertise in minimally invasive, cutting-edge spine surgery solutions. Procedures that used to be very complicated and invasive are now much less stressful and offer faster recovery times. Many of our patients recover very quickly and have low levels of post-op pain. 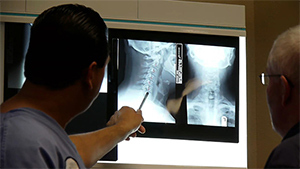 At The Spine Center, we believe a well-informed patient is the best patient. That’s why Doctor Saqib Siddiqui takes the time to explain all of your treatment options, the benefits and risks of the procedure, and to answer all your questions as well. Call (954) 916-7062 or click here to schedule your appointment today!